Here is a short list of reasonably available, largely non-academic books on the contest for the Mediterranean in the sixteenth century. Fernand Braudel: The Mediterranean and the Mediterranean World in the Age of Philip II – not a casual read (two volumes, 1,200 pages), this stands as one of the great works of twentieth century history. It’s a hugely enriching book. Braudel surveys everything – geology, climate, economics, transport, empires, forms of warfare as well as well as events, politics and people. It spans the period 1550-1598. Volume II, which covers events, politics and people, can be read on its own. John Francis Guilmartin: Galleons and Galleys – a wide-ranging, highly illustrated study of sea warfare that includes a section on the battle tactics of galley fleets and the Ottoman failure to dominate the western Mediterranean. Ogier Ghiselin de Busbecq: Turkish Letters – wonderfully vivid, contemporary account of the Ottoman empire and Istanbul during the reign of Suleiman the Magnificent. Jan Morris: The Venetian Empire: A Sea Voyage – ranges far wider than the period of my book but takes in the main events (Cyprus and Lepanto); enjoyable romantic travel/historical perspective on the history of the Mediterranean. 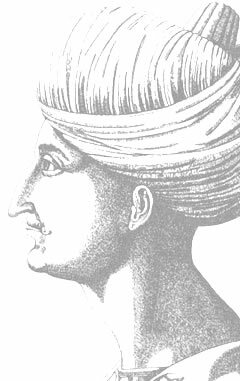 Andre Clot: Suleiman the Magnificent – biography of the sultan. Eric Brockman: The Two Sieges of Rhodes 1480-1522 – a lively account of the Knights of St John in Rhodes closely based on the sources. Ernle Bradford: The Shield and the Sword – popular, rather partisan history of the Knights of St John. Hayrettin Barbarossa awaits a decent modern biography in English. In the meanwhile there’s Ernle Bradford: The Sultan’s Admiral: The Life of Barbarossa – an exciting, if not terribly accurate, narrative account. R.C. Davis, Christian Slaves, Muslim masters: White Slavery in the Mediterranean, the Barbary Coast and Italy, 1500-1800– serious but very readable academic work, based on a scrupulous study of sources and records in Italy – a fascinating read. Jacques Heers: The Barbary Corsairs: Warfare in the Mediterranean – sober study of the subject. Francisco Balbi di Corregio: The Siege of Malta, 1565 (translated by Ernle Bradford) – the diary of Francisco Balbi, a first hand, very readable eyewitness record of the siege. Stephen C. Spiteri: The Great Siege: Knights vs. Turks mdlxv â€“ Anatomy of a Hospitaller Victory â€“ for anyone seriously interested in the subject, this book is a must, but at present is sadly out of print now and almost impossible to find. Huge, compendious, brilliantly illustrated with contemporary prints, paintings, maps and computer recreations, based on detailed analyses of the sources, Spiteri graphically explains every aspect of the siege: fortifications, tactics, weaponry, armour, siege techniques â€“ as well as events themselves. Ernle Bradford: The Great Siege: Malta 1565 – exciting narrative version of events. Jack Beeching: The Galleys at Lepanto – excellent general narrative history of the build up and the battle. Hugh Bicheno: The Cross and the Crescent: The Battle of Lepanto 1571 – a recent account that gives due weight to the Ottoman perspective. Niccolo Capponi: Victory of the West: The Story of the Battle of Lepanto – exceedingly well-researched recent version.